If you’re in need of windscreen repair or replacement in the Goulburn Valley, you can rely on the team at National Windscreens to provide prompt assistance. We also offer a range of other convenient mobile car window services, including sunroof repair, car window tinting and car side window tinting, proudly servicing the Goulburn Valley as well as the surrounding areas of Shepparton, Seymour, Echuca, Benalla, Yarrawonga and Kyabram. 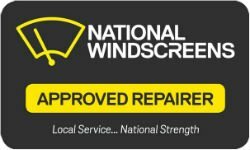 National Windscreens is proud to be a leading provider of windshield repair and emergency windscreen replacement in the Goulburn Valley. We hold an accredited membership with the Auto Glass Association as well as the National Windscreen Group – a trusted organisation listing independent businesses that can assist with windscreen chip repair and windscreen crack repair in Australia. You can rely on National Windscreens to attend promptly when you need professional windscreen repair and windscreen replacement services in the Goulburn Valley and beyond. Contact us today for more information or to make a booking – simply call us on 1300 36 36 32, or book online.